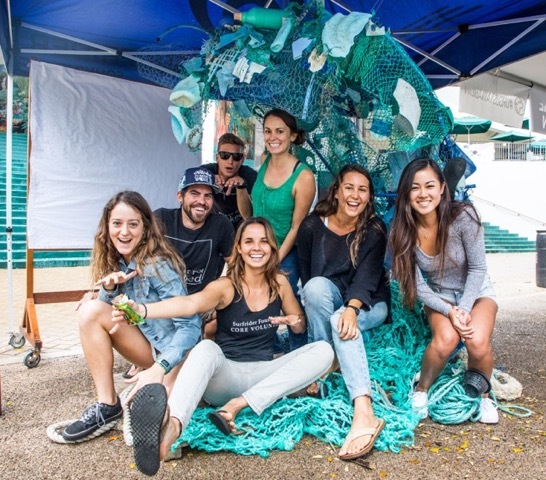 Surfrider Foundation's University of Hawaiʻi Mānoa Club student activists conducted a waste audit on the Mānoa campus to find the biggest sources of plastic pollution and found that an estimated 50,000 straws were disposed of every day! Armed with this info, they launched a campus-wide straw ban campaign and have built a groundswell of support. Join the movement by signing the petition, which now has over 1,100 signatures. For more details, click here! 12-27-18 2018-19 Plastic Free Hawaiʻi School Mural Contest! 09-17-18 Young Ocean Leaders Wanted! 07-16-18 Find us at Community Events! 02-09-18 The Republik Switches From Plastic to Paper Straws! 11-28-17 2017-18 Plastic Free Hawaiʻi School Mural Contest! 10-27-17 Oʻahu’s Foam Ban Needs Your Help! 10-27-17 2017-18 Plastic Free Hawaiʻi School Mural Contest! 10-27-17 Mahalo to our Volunteers! 09-29-17 VegFest Oʻahu Goes Plastic Free Again! 09-29-17 Big Island Joins Maui as Second County to Ban Foam! 04-13-17 Kōkua Hawaiʻi, Go Reusable!